Sir Lawrence was born in the Netherlands and trained as an artist in Antwerp, where he found fame as a painter of scenes of life in ancient Egypt. Discovered by the London art publisher Gambart, who arranged an exhibition of his work in London in 1865, he moved to London with his two daughters in 1870 soon after his wife died. 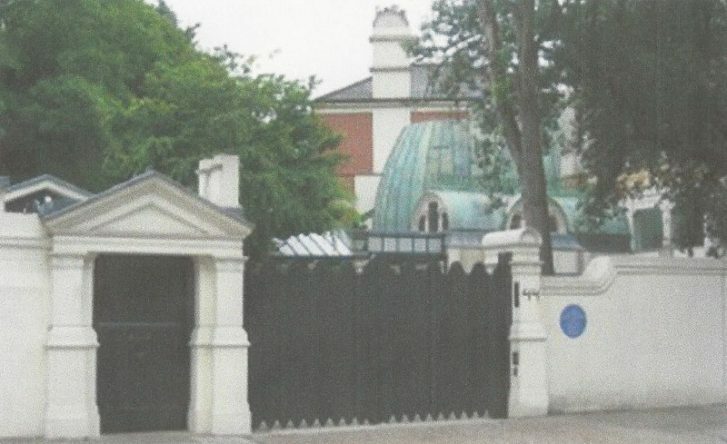 They lived at 4 Camden Square, renting the house and studio of Frederick Goodall. 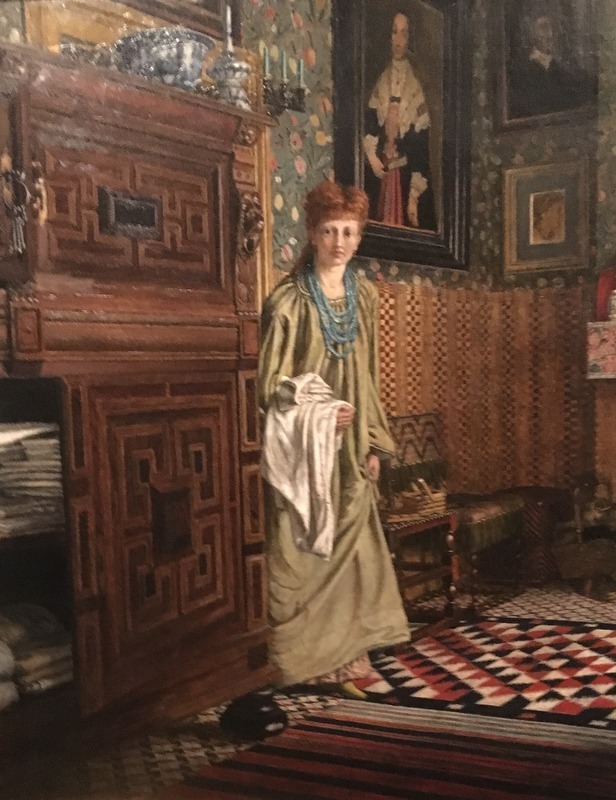 He met the Pre Raphaelites, (who brightened his palette,) was made a Royal Academician in 1870 and became one of the most successful Victorian artists, painting classical scenes with amazing detail. After visiting Pompeii he painted scenes of daily Roman life and his meticulous archaeological research meant that every building featured on his canvasses could have been built using Roman tools, and became source material for many Hollywood films. Commissioned by Henry Irving to design scenery for Coriolanus, he correctly reproduced Etruscan settings and achieved the effects of dawn and moonlight with pioneering electric lighting. 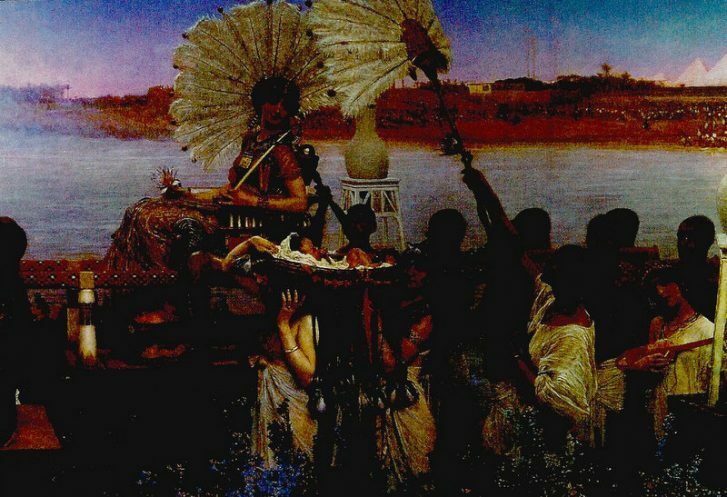 He was the world’s foremost painter of marble and when he was painting flowers fresh supplies arrived from the Continent and Africa every week to ensure accuracy. He taught at the St John’s Wood Art School and was a member of the St John’s Wood clique. 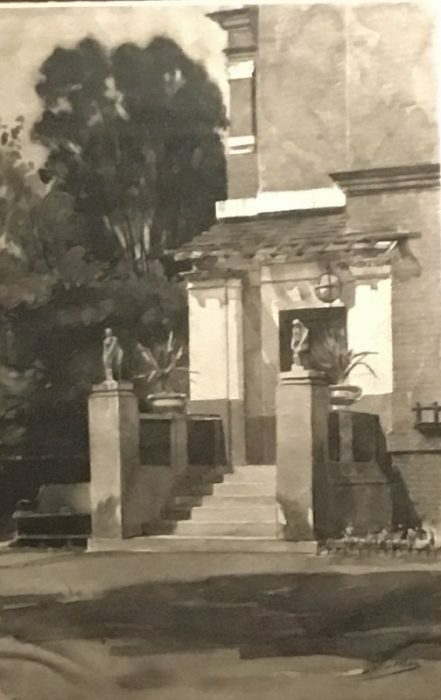 Sir Lawrence then moved to Townshend House, 17 Tichfield Terrace, North Gate, Regent’s Park, with his second wife Laura nee Epps (his seventeen year old pupil and later an artist ) and his two daughters . 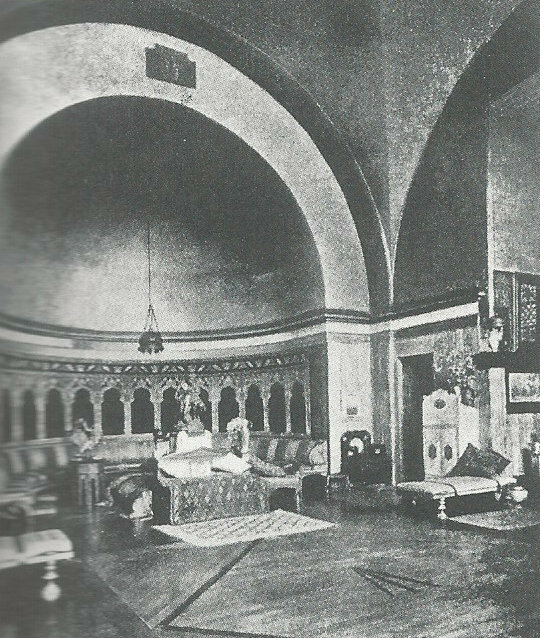 He transformed this interior, knocking down walls and introducing old panelling and using many styles – Japanese, Egyptian, Byzantine and Greco- Roman – in different rooms. 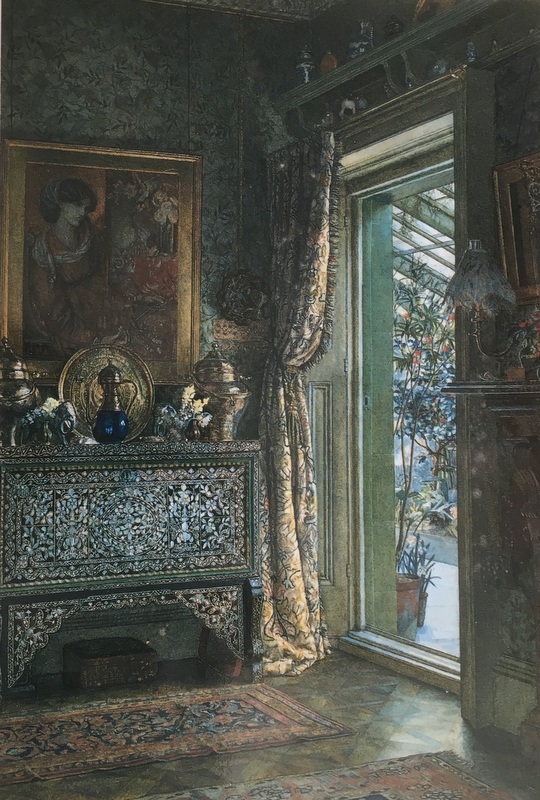 The interiors were light and airy with pale green silver and gold tonalities, which reflected the lightening of his palate and more white marble in his pictures, but the house was too small for his needs. 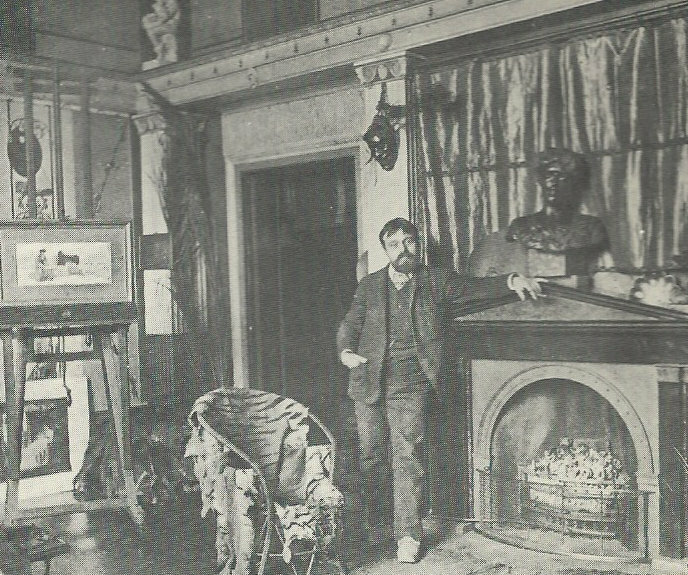 In 1883 they moved to Grove End Road, where he lived in what had been Tissot’s house and became obsessed with designing its interior spending £70,000 between 1885-95 and ending with 69 rooms. This extraordinary house was designed by an artist steeped in the classical world and he extended it in all directions, using quality finishes on the external walls including terracotta, Portland stone, stucco, slate, lead, zinc and copper. 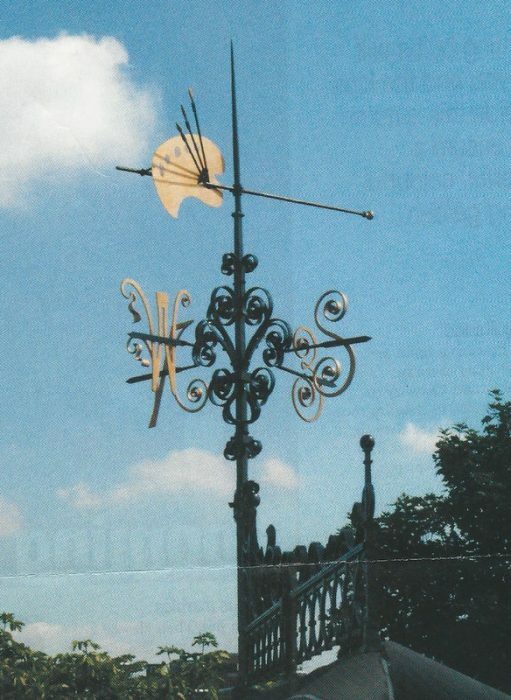 The weather vane on the roof designed by the painter is in the shape of an artists’ palette. 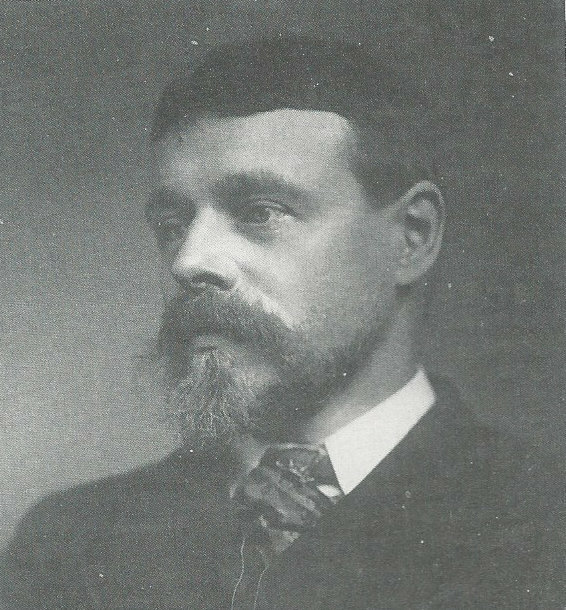 He created the triple height studio with raised vaulted ceiling, described by A. Montgomery Eyre – the studio of of unusually large proportions, with a domed ceiling filled with amber glass. 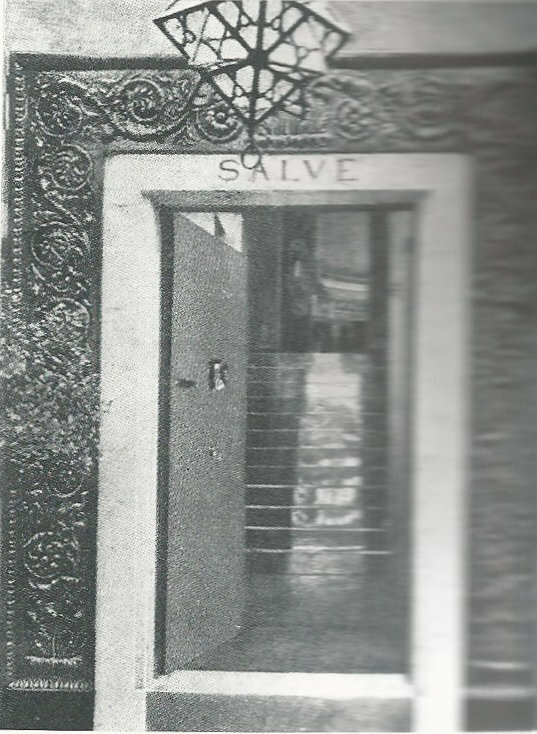 The walls are panelled with grey-green Sienna marble, the apse and dome are covered with aluminium leaf; in the atrium leading from the studio the ceiling is a copy from one in Pompeii, and the window represents a sun of onyx.–From a balcony on a landing one overlooks a Roman scene, with its marble basin and playing fountain. He seemed to know everyone and everyone seemed to love him. 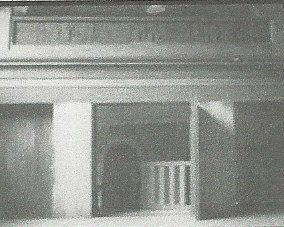 His visitors, including the Prince of Wales and Tchaikovsky, arriving at his Tuesday evening parties, walked through a loggia with a glazed roof and tessellated pavement to the entrance, with its welcoming inscription ‘Salve’ on the lintel. 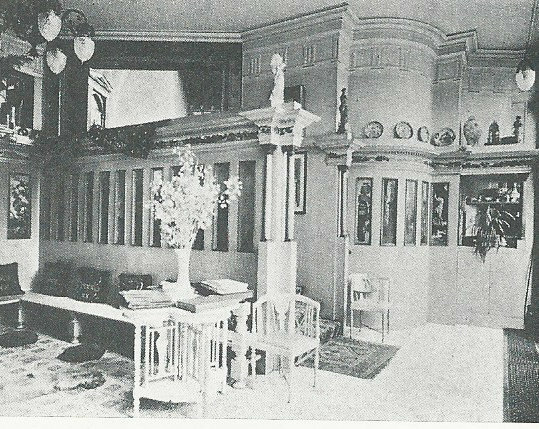 From here, a steep staircase lined with burnished brass led up to the studio; or visitors could turn left, pass through the conservatory, into the hall and the domestic side of the house. 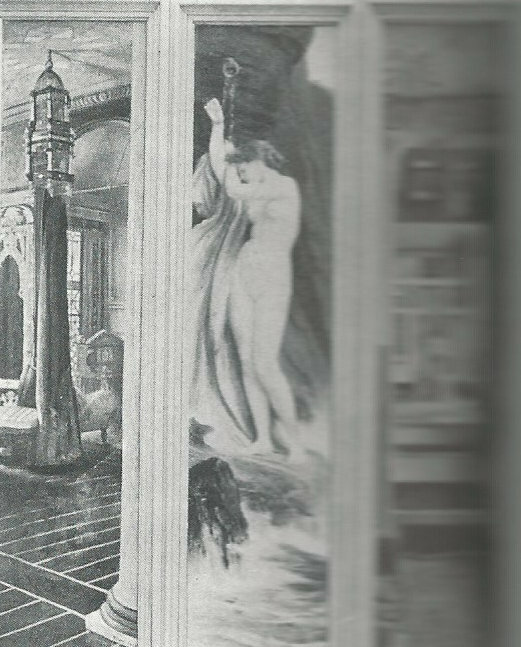 Here, the walls of the fireplace alcove were inset with forty-five tall narrow paintings given to Alma-Tadema by his friends and professional colleagues such as Lord Leighton and John Singer Sargent. Substantial visiting-cards [and] charming pictures,’in the words of the critic F.G. Stephens, they were each painted to fill its own particular niche in the wall of the house beautiful. Here his fellow artists and friends met and on Studio Sundays – the Sunday before paintings were sent to the Royal Academy – the public could visit. 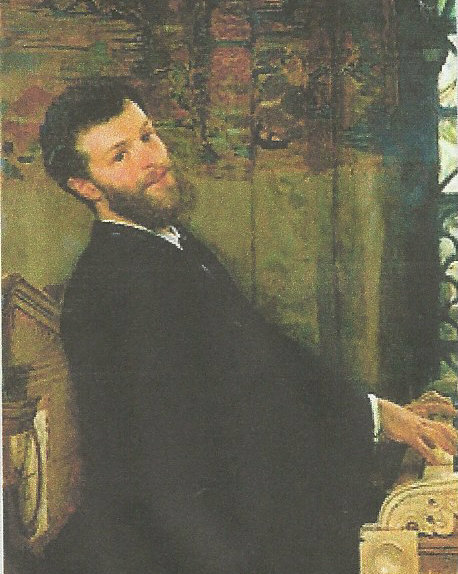 His portrait of George Henschel, singer, pianist, composer and conductor, shows him playing Alma Tadema’s piano, inlaid with mother of pearl and ivory with parchment panels for autographs of famous men. As an artist his routine involved rising at dawn and frequently destroying work he regarded as falling short of his standards. 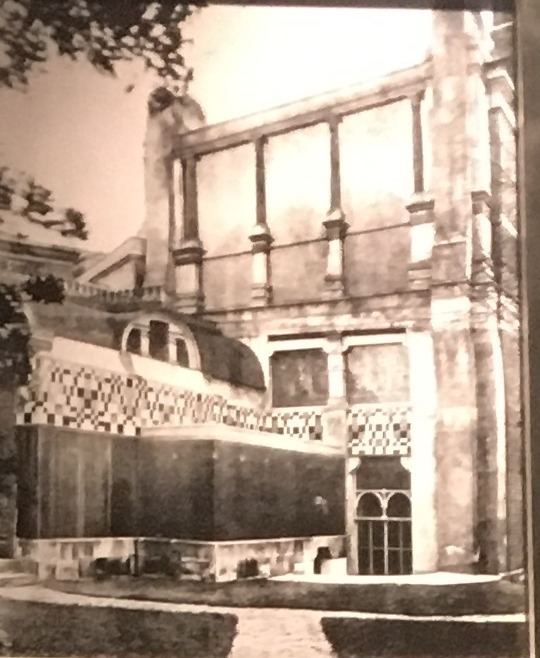 The aluminium dome of the studio created a special light for his archaeologically oriented domestic antique pictures, an escapist world of cultured education . 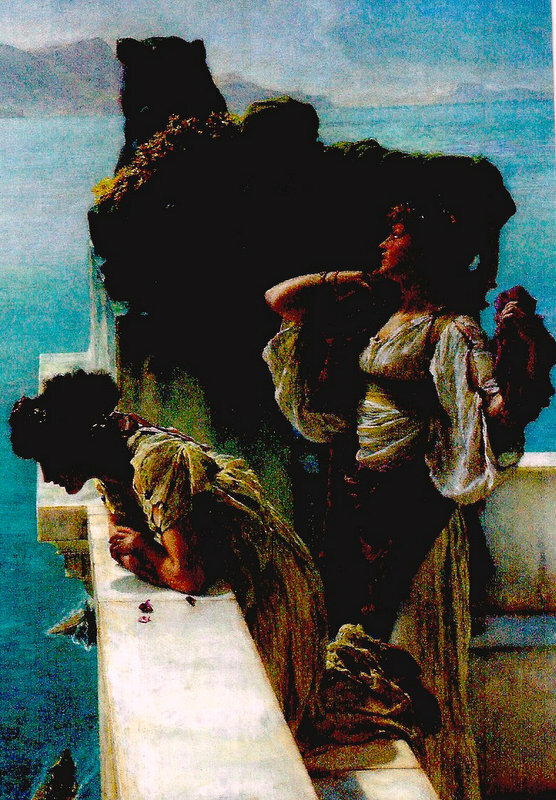 He believed that although eras changed in appearance, people change very little, so he painted Romans as he would have painted Victorians..
His paintings were often etched by Leopold Louwens, who had come to England at the same time as Alma Tadema, and who married Alice Search, governess to the artist’s two daughters. 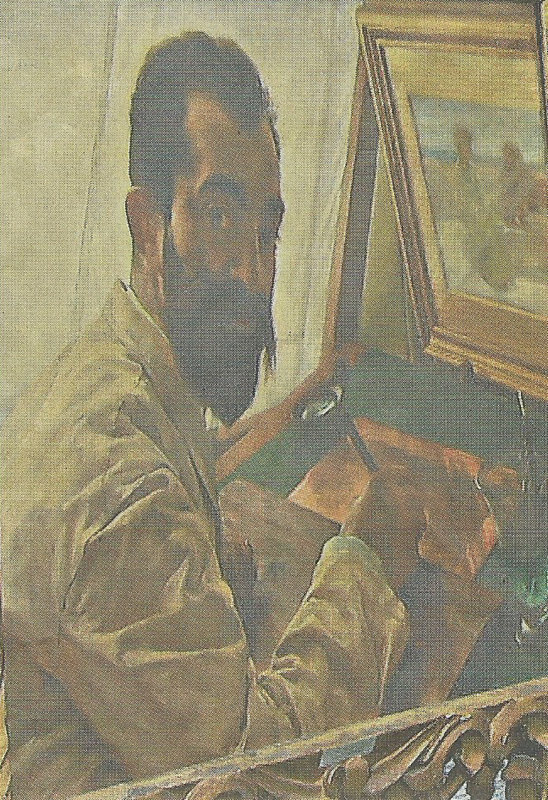 This painting of him by the artist was given to him as a wedding present in 1883. Alma-Tadema’s daughter Anna worked in her own first floor studio within the family home. Her panel of flags, ‘a reminiscence of Queen Victoria’s Jubilee’, was a birthday present to her father. He was knighted in 1899 and appointed to the Order of Merit in 1905. His wife died in 1909 and he died in 1912, leaving most of his estate to the Royal Academy. His paintings lost their popularity just as the American motion picture industry began to use them as inspirations for their settings of costume dramas.